A 6-week-old baby is about to be returned to her Russian family, after spending four days in foster care in New Zealand. The events surrounding the child’s custody drew vehement reactions from Russian officials and the Russian blogosphere. New Zealand’s childcare service – Child, Youth and Family – has agreed to return 6-week-old Victoria Lykho to her Russian parents living abroad in Auckland. The baby was taken away from her family on April 19, on grounds of suspected abuse. Her parents, Polina and Artem Lykho, could not explain a fracture in one of her ankles when they showed her to a local doctor. The case was reported to the childcare service, and the girl was temporarily placed in foster care. Police are still investigating how Victoria became injured. “They took her away into a family of strangers, no one would tell us where she was,” said Yelena Arkhangelskaya, Polina Lykho’s mother, who lives in Moscow. “I shudder to think a stranger could be touching my granddaughter. There’s no reason why my children should be put through something like this,” Yelena said. She petitioned Russian President Vladimir Putin and the presidential commissioner for children’s rights, Pavel Astakhov, attracting the media’s attention. On April 22, childcare authorities met with Polina and Artem Lykho to show them their daughter. They concurred that Victoria should be returned to her family under the guardianship of Artem’s mother, Zoya Lykho, who is based in Auckland. The Lykho couple was assured that, after paperwork is completed, Victoria will be returned home. Attrill emphasized that she understands how hard it is for the whole family to have had Victoria taken away. Polina, 19, moved to New Zealand in 2010 to pursue a Master of Business Administration and later married Artem Lykho, 25, who works at his mother’s design bureau in Auckland. This is not the first time a child was removed from a Russian family by international childcare services. Six Russian mothers have reported being separated from their children by Finnish authorities since 2008, when Finland strengthened its childcare legislation. 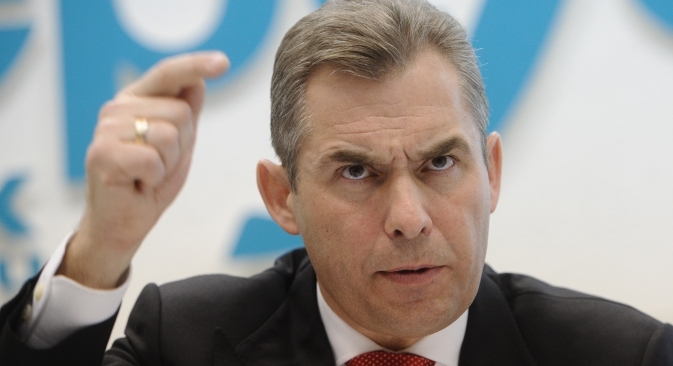 Commissioner Astakhov has referred to those cases as kidnapping.